Barbara Pleasant is an award-winning, best-selling author, speaker, and passionate food gardener who lives in Floyd, Virginia, a stone’s throw from the Blue Ridge Parkway. As a contributing editor to Mother Earth News and The Herb Companion magazines, and the author of many books, including The Complete Compost Gardening Guide (Niki’s note – one of my favourite gardening books! ), The Complete Houseplant Survival Manual and Starter Vegetable Gardens, Barbara admits that she has the best job in the world! 1) It’s late autumn! What are you doing in your garden now? We’ve had a long and beautiful fall here in the Virginia mountains, and now I’m harvesting leaves to use as mulch next year. I love using the mower to gather the last grass clippings mixed in with chopped leaves, which makes a great winter mulch for garlic. I also harvest a mountain of whole leaves, which my five laying hens shred during the winter months. Deer leave my garden alone all summer, but in late fall I must cover anything I don’t want them to eat. At night it looks pretty spooky with the kale and rutabagas covered with ghostlike pieces of row cover, attached to stakes with clothespins. The fall carrots are covered with wire cages, so the deer haven’t pulled up any carrots even though they’ve trimmed the tops back to the wire. 2) What are three of your ‘Hall of Fame’ veggies? If I had to limit myself to three can’t-do-without-it varieties, they would be ‘Fordhook Giant’ chard, ‘Stupice’ tomato, and ‘Royal Burgundy’ bush bean. White-ribbed ‘Fordhook Giant’ is much more productive than strains with colored ribs and veins, and the leaf texture is also more similar to spinach compared to other varieties. A single spring planting produces steadily all season long. 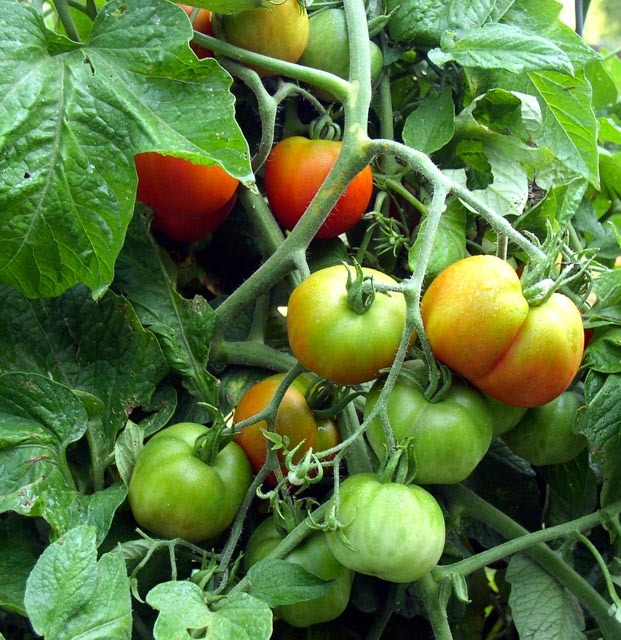 ‘Stupice’ tomato is early and not very big, but we love it for fresh eating, or slicing and drying in the dehydrator. It’s an open-pollinated Czech heirloom with potato type foliage that I grow every year as an early season treat. ‘Royal Burgundy’ bush bean never goes stringy, and the sturdy plants produce lots of beautiful purple beans. When blanched prior to freezing, the purple color fades to green, so the purple beans serve as blanch-o-meters. 3) What under-appreciated vegetables would you like to see more gardeners growing? The first garden treasure that comes to mind is kohlrabi, which I grow twice a year, in spring and fall. The spring seedlings go out under cloches when it’s still cold, in April, and I transplant fall seedlings into a “nurse crop” of buckwheat in August. This fall I included chunks of kohlrabi in a couple of cabbage-based fermentation projects, which turned out great. Next year I’ll grow more! I find that I’m growing less heading broccoli, and more sprouting broccoli. Good old ‘DeCicco’ provides handfuls of tender little heads that are super-useful in the kitchen over a long season, and many gardeners like the new broccoli/gai lon crosses, sometimes called Chinese broccoli, for the same reasons. 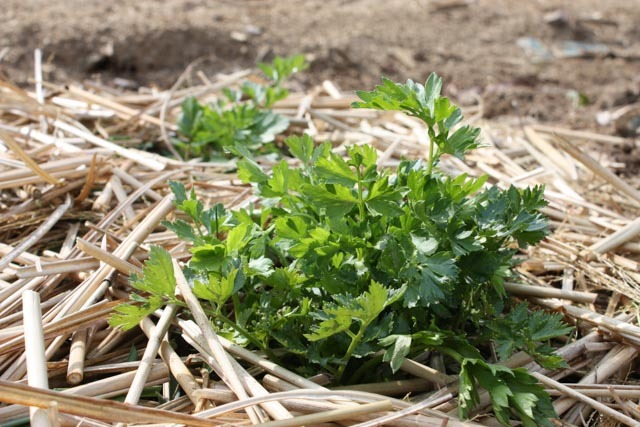 Then there is celery, which can be a great garden plant if you work with it as a reseeding vegetable instead of fiddling with indoor-grown seedlings year after year. I’ve found that if I grow a pair of flowering celery plants every two to three years, and allow them to produce mature seeds, enough volunteer seedlings appear to keep me in celery for a couple of seasons. Celery is a true biennial that must be exposed to winter chilling to trigger a strong flowering response. In my climate (Zone 6) I can usually get plants through winter with a protective mulch, and overwintered celery plants bloom like crazy in mid spring. I see tons of tiny beneficial insects on celery flowers, and then I let the seeds ripen for use as a kitchen spice. Hundreds of seeds also fall to the ground, and sprout where they will for a couple of seasons, or until the soil’s celery seed bank goes bankrupt. 4) Tell us a bit about your own garden? My garden is big because it’s a self-sufficiency garden in which we try to grow enough vegetables and herbs to eat every day of the year. The main garden consists of fifteen permanent beds, terraced into a mountainside (elevation 2650 feet). I use the front rows for herbs and flowers, and rotate veggies through the rest. I’m also into fruits! In the front yard we have three apple trees, two Asian pears and a mature ‘Potomac’ pear, and the back of the property is thick with bramble fruits – three types of raspberry and two types of blackberry. When given a little pruning and mulching, the native black raspberries are proving to be excellent backyard fruits that form a great deer-deterring thicket. Each summer we pick ten gallons of highbush blueberries from eight mature plants and let the birds have the rest. Our garden is surrounded by woods, and one of our neighbors is the Blue Ridge Parkway National Park. 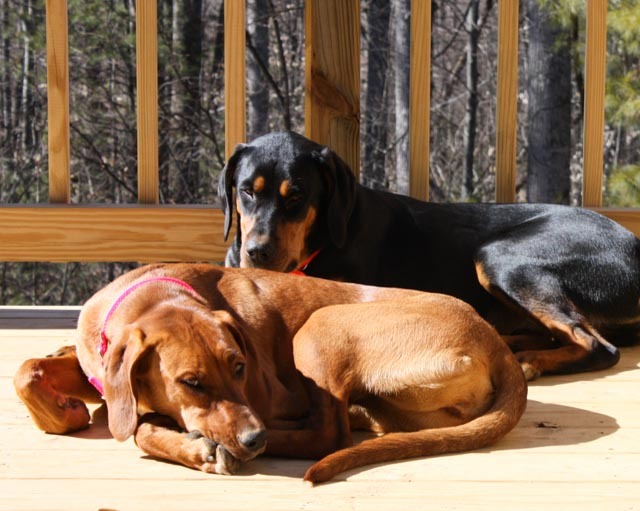 Inside our fence, our two wonderful dogs keep the garden and chickens safe from the many wild things that live free and natural lives in the Park. 5) As co-author of The Complete Compost Gardening Guide, how do you keep your soil super-productive? Before I plant anything, I add compost. Sound simple, but because some beds get replanted twice or even three times a year, that’s a lot of compost! In winter I mulch over any beds that are vacant, but there are only a few. I believe in keeping soil busy, so I grow a lot of cover crops. The spent cover crops help bulk up my compost supply, so they are an essential part of my composting system. Gardeners always love what’s vigorous and perfect, and today I love the oats I planted in August, after pulling out the pumpkins. It’s knee-high now, but in a month or so cold temperatures will kill it dead. The fallen foliage will mulch the bed all winter, and in spring it can be raked up and composted. For more information on Barbara Pleasant and her gardening adventures, you can find her at www.barbarapleasant.com. As well, her work is featured regularly in the pages of Mother Earth News and The Herb Companion magazines. A terraced garden plan, based on her own plot is included in Niki’s latest book, Groundbreaking Food Gardens. The final word goes to Barbara’s garden helpers!